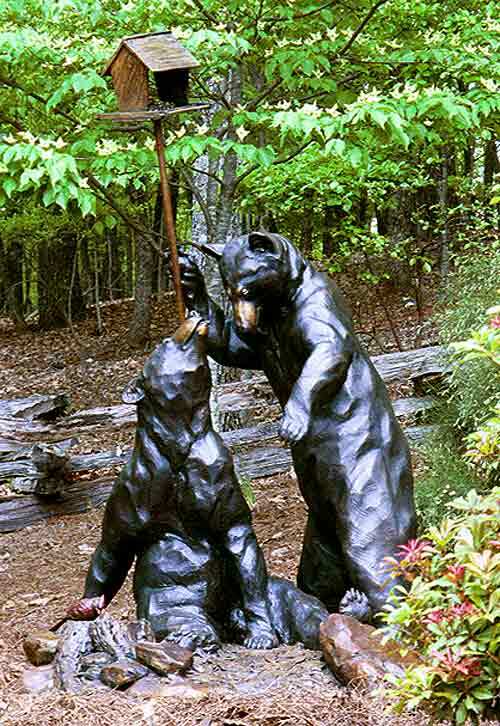 Life Size "Black Mountain Bandits"
After being run off by their mother, the yearling black bear twins are out collecting food on their own. The birdseed may not satisfy their growing hunger, but it's a start.....there goes the neighborhood. See this piece and others under developement on the Works in Progress page.